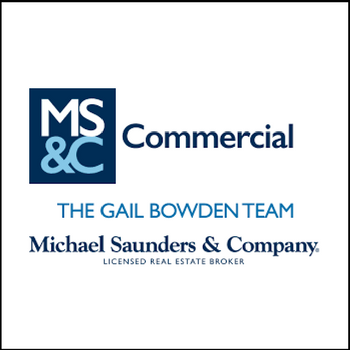 Gail Bowden brings a unique blend of strategic creativity and expertise to the Michael Saunders & Company team. Drawing on more than thirty years of experience, Bowden is well known for her business ingenuity and ability to navigate the complexities of venture capital, project finance, construction, and development. Her project list is extensive as well as her list of accomplishments as an expert and industry leader. Bowden was named one of Real Estate Forum’s 2016 Women of Influence. Prior to joining the MS&C Commercial Division, she ranked #3 in SVN’s commercial real estate advisors worldwide, and #1 in Florida for 2015. Bowden also achieved one of SVN’s most prestigious honors “Partners Circle” in 2015 and 2014, several of SVN’s most esteemed honors, including her fourth “Top Commercial Real Estate Advisor of the Year”, “Top Producer” and “Top Sale Transaction” awards. Ms. Bowden is well-known for closing complex and varied commercial investment projects, specializing in medical office, multifamily, and industrial properties from $500,000 to $60 million +. Gail’s propensity for guiding clients to appropriate financing coupled with her skill for identifying the most suitable investors for each deal has contributed to her career sales total of over $200 million. From contract to closing, Gail handles each client with exceptional care, ensuring that every element of a transaction is presented in a clear and logical manner.